According to a 2016 study, doctors kill more people in the United States than any other one cause except heart disease and cancer. Physicians have long been trusted to help us get better and in many cases, save our lives. And for the most part, physicians do just that. Their combined knowledge helps to alleviate discomfort and prolong our lives. Except when it doesn't. Because doctors, nurses, and other medical professionals are working on our bodies, they can't afford to be careless. Unfortunately, though, as high as the stakes are, not all doctors take the time and care they should with their patients. As a result, and according to a 2016 study done by Johns Hopkins University, medical errors are the third leading cause of death in the United States. The study didn't take into account medical errors that result in disfigurement, undue scarring, or added pain. Nor does it count someone who dies as a result of some other cause that the doctor cannot cure or prevent, despite his or her best efforts. According to the study, medical professionals kill over 251,000 people every year. That amounts to almost 700 people every day, or about one person every two minutes. Unfortunately, due to so-called "tort reform" efforts, holding doctors accountable in Nevada has become more difficult, often leaving the victims penniless while the doctors make money off of their mistakes (there's no discount when the doctor hurts you, after all). I have convened this special session, today, because Nevada is in a health care crisis. The cost of medical liability insurance has risen to unacceptable levels. The inability of doctors to obtain their insurance at reasonable rates is endangering the health of our citizens. Therefore, I believe immediate change in our laws is necessary to address this health care crisis. The events leading up to this crisis began late last year, when, as many of you know, the St. Paul Insurance Company announced its decision to stop providing medical liability insurance to over 60 percent of Las Vegas doctors. St. Paul’s decision was based upon an estimate that it was losing several million dollars annually because of lawsuits and claims against Nevada doctors. Having a longer time period for permitting claims to be brought allows for an increase in insurance rates, an increase in medical costs and a lack of medical services available to our public. Under our current law, a plaintiff must file his medical malpractice action not more than four years after the date of injury or two years after the plaintiff discovers or through the use of reasonable diligence, should have discovered the injury. Our courts have long recognized that the legislature may establish time periods affecting liability for past acts. Therefore, I am recommending that legislation be approved that shortens the time frame for filing a medical malpractice action and requires an action to be filed within three years of the date of injury and two years after the date of discovery. After three days in session, the legislature approved the proposed changes, (with few amendments not related to the limitations periods), with a unanimous vote in the senate and a vote of 32-10 in the assembly. Fifty-nine percent of the voting public voted in favor of this initiative, and it thereafter became law. At Parry & Pfau, we do not believe that lawyers are to blame for high malpractice insurance premiums for doctors. We believe doctors are to blame for high malpractice insurance premiums for doctors. Victims of medical negligence are fighting against two clocks: First, the statute of repose says they cannot bring a claim for malpractice more than three years after the “date of injury.” This sets a hard and fast deadline, beyond which the claim expires except to the extent it is tolled. Second, the statute of limitations gives the victim only one year from either actual or constructive discovery of the injury. The earlier of the two dates is the operative statutory deadline. In many cases, the date of the injury is not disputed—it will be the date the doctor did something wrong, which will more often than not be the date of the surgery, operation, or treatment. However, the discovery date—whether the patient actually discovers the injury or constructive discovery is imposed by the court—presents a more difficult factual question. This constructive discovery—which the legislature described as when the plaintiff “through the use of reasonable diligence should have discovered the injury”—is dubbed “inquiry notice” by the Nevada Supreme Court. What Does This Mean for the Injured Person? Within one year of discovery of the injury (whether actual or constructive), a victim of medical negligence in Nevada must, whether with an attorney’s assistance or not, gather medical records, hire a competent expert in the same field as the putatively negligent doctor to prepare an affidavit, and file the complaint. That is not a lot of time in the best of circumstances. The timeline is further shortened by virtue of the doctrine of inquiry notice–patients may have a very clear idea of when they discovered that medical negligence was a potential cause of the injury, but could be betrayed by the very medical records that identify the cause. It is important, then, for medical malpractice attorneys to order medical records as soon as possible, and actually review those records with the specific aim of identifying the earliest a doctor has identified medical malpractice as a possible cause (and the doctor will never describe it as malpractice or negligence). Then that date should be calendared as the accrual date for statute of limitations purposes. Then the attorney can preserve the rights of the victim of medical negligence. 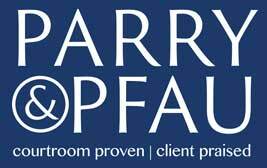 Contact the attorneys at Parry & Pfau to help you wade through these and other complex issues associated with pursuing a medical malpractice claim in Las Vegas or Henderson. See “A Proclamation by the Governor,” July 26, 2002. Journal of the Senate of the State of Nevada, 18th Special Session, Day 1. For example, if a doctor is concealing the negligence, the time limitations are tolled per NRS 41A.097(3).